Customizing a dynamic online library is made exceedingly easy with the Video templates added into the mix. Be it the completion of an advertising campaign or setting up the correct introduction for the same, Video Intro Templates are potent enough for refurbishing the website hierarchy. These best in business templates are capable enough of providing plethora of eye-catching designs and modifications, mostly free of cost. No software is needed and these essentials can be easily installed and used accordingly. Customized videos can be easily generated with some of the premium intro templates which are loaded with certain resourceful features like cross browser compatibility and HD video generating options. Intro templates are quite capable of creating a video creation framework for the professionals besides the slideshow compatibility of the same. You may also see Wedding Video Templates. An intro of your website when it is designed with a short video is sure to attract more viewers for you. This Corporate Short Package is one such with powerful logo intro. This is a full HD video content with easy customizable feature. 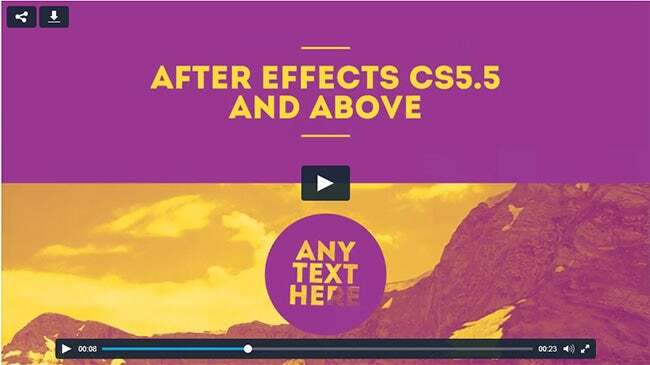 This video intro template is also a very useful one with CS5 after effects feature and 1080 pixels resolution capacity. The one most import fact of this template is that no plug in is required to play this video. 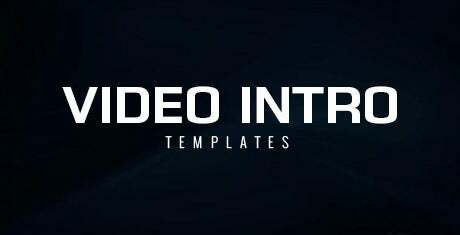 This is a completely ready to use video intro template which you can create just only by entering your name into it and few details which you wish to include in your video. It has both options of playing in 1080p as well as 720p. You wish to start your marketing with an online video; no other choice can be more suitable than these templates. 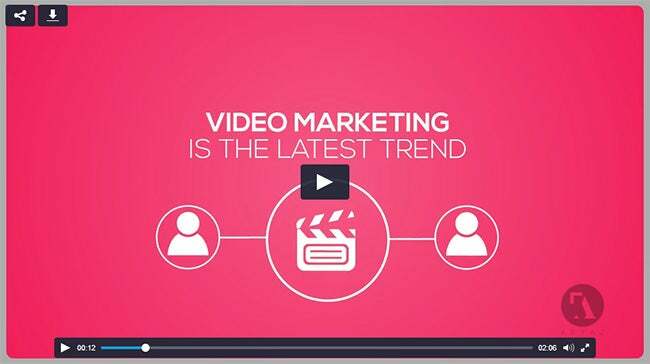 One of such is this online video marketing intro. This is most unique as its created by best video professionals all over the world. This template is of another free and user friendly template which you get the opportunity to play with AE CS5+. It can be played in 1080p at 25fps. You may use it as per your requirements or even resell it if wished. This multi video logo intro template features the logo in a clean and elegant manner. The one very important feature is that it has 20 placeholders for your video. It comes in a compatible package with CS4 and all other newer versions. A very attractive with color combination and musical introduction of your marketing video is here ready to use in our collection. You could also select and customize with your own choice of music along with text by this template. 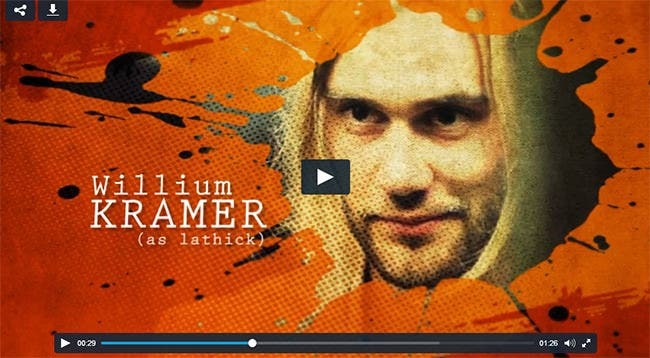 As the name suggests this video introduction template for your marketing plan is an ear candy. It attracts the traffic by its audio selection and audio quality. Introduction through texts also play a vital role in this template. This fully HD supportive video template is going to proof to be a real Corporate Intro or show opener. This is completely supported by after effects. The unique part of this template is that it comes with a video tutorial along with it. Gear up is a quality product in our collection of video introduction template. You may use it as it comes or can also edit and customize it as per your choice and requirements. This is a very professional looking in design. Wish to promote some kind of event, party, DJ show, Club, fashion or festival, we can help you out with our short video intro template. This CS4 supportive video is very energetic and dynamic one which also has a great corporate look. This one is another very attractive and unique video intro template that has two versions with full HD projection. You can customize your video or photo with 10 available place holders in it. Helpful instructions make it more users friendly. This video starts with featuring the world captured in your hands, which gives a professional look to your video intro. You have the options to enter your company name logo and slogan in a very professional manner in this template. Here is a video intro template that can be used for the purpose of a film intro. This template is CS5.5 and higher version supporting. It has a full HD projection with 1920×1080 pixels resolution. The fully customizable feature makes it widely acceptable. 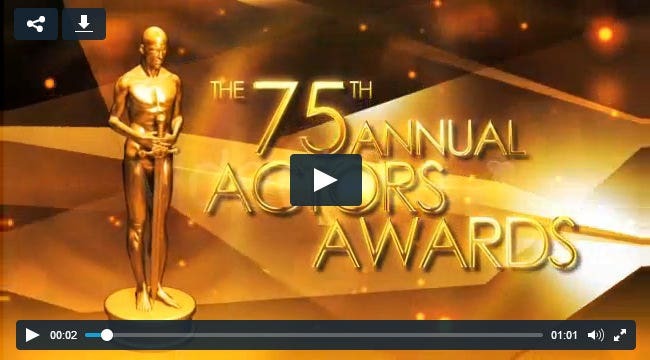 An appropriate video for introducing award ceremonies, this template starts with a gala opening style with red carpets rolling and opening of curtains. 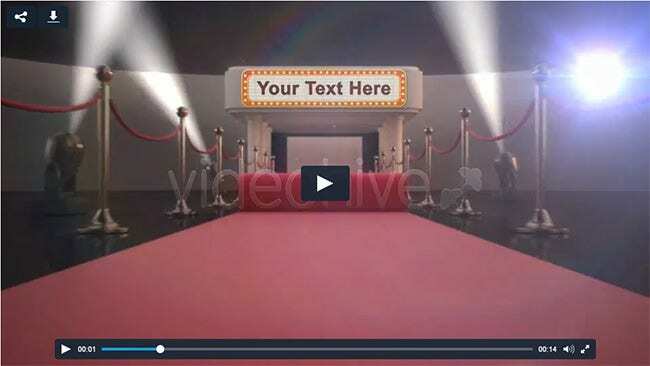 This video template is very simple one with easy to edit features which makes it a must have for your awarding ceremony. This template starts with a film reel logo which gives the viewer a feel of an intro to a cinema. It has 3 pre-made set up and super fast and easy to customize. With variations in font style it looks very classy in its category. A different kind of video intro template with dull yet classy coloring scheme, this template could be a unique choice. The breaking through motif of the video gives your plan a break through it. Just enter your company name, logo and web address to get a first preview. Here is a video intro template that supports complete Flash animation projections. You can also avail the facility of uncompressing this template into a zip package with Win Zip 9+ and Stuffit Expander 10+ for Mac. An award show, may it be big or small add glamour when it is marketed with a video intro. Market your awards show or anniversary with this video that captures the stunning projection like Hollywood style award functions. The processing speed is at par with any modern application and assists most of the video production strategies. Hand gestures and animated graphics are included into the mix whereas other top rated feature sets are also up for grabs. These include image and logo integrations besides the inclusion of varied color presets. Radio imaging packs, flexible durations and included website plugins make these templates extremely handy for both personal and commercial use. You may also see Promo Video Templates. Everybody wishes and desires to make the marketing plan a success and the first impression that is destined to create a long lasting impression are actually that works. With our arrangement of such videos we are sure that your marketing plan would reach heights.